Abingdon, Maryland homeowners trust Advantage Home Exteriors for reliable vinyl siding installation and replacement services due to our satisfied customer approval rating from years of service since 2007. When you need exterior siding, depend on professional ratings from accredited businesses like Angie's List, BBB, and Home Advisor, for our certification in exterior maintenance and home improvement in the Abingdon area. Abingdon is an unincorporated community in Harford County, Maryland, United States. 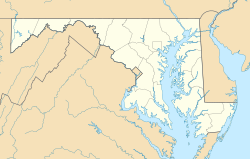 It lies 25 miles northeast of Baltimore on Maryland Route 7, near the Bush River, between Exits 77 (MD 24) and 80 (MD 543) of Interstate 95 (Wikipedia). It's a small town overall, but directly on the coast of the Bush River which has it's benefits and negatives. Abingdon is beautiful in regards to nature, but the natural occurring climate changes make homes vulnerable to the seasons if not properly protected. That's why we use energy efficient vinyl siding that comes with a layer of foam insulation barrier to keep your home at a steady temperature. According to WeatherDB our snowfall has an annual 17.4 inches per year, while cold temperatures climb and fall averaging at 44.5 degrees all winter, 50.7 degrees all spring, and 74.2 degrees all summer. Relatively a colder climate, the correct exterior siding has never been more important and our mission is to provide what families need.